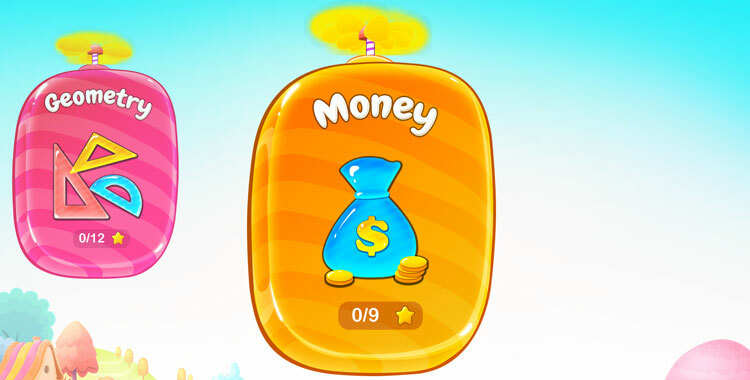 Tap on Money topic and start any skill. Next, tap on the pause icon. This will open the topic settings. 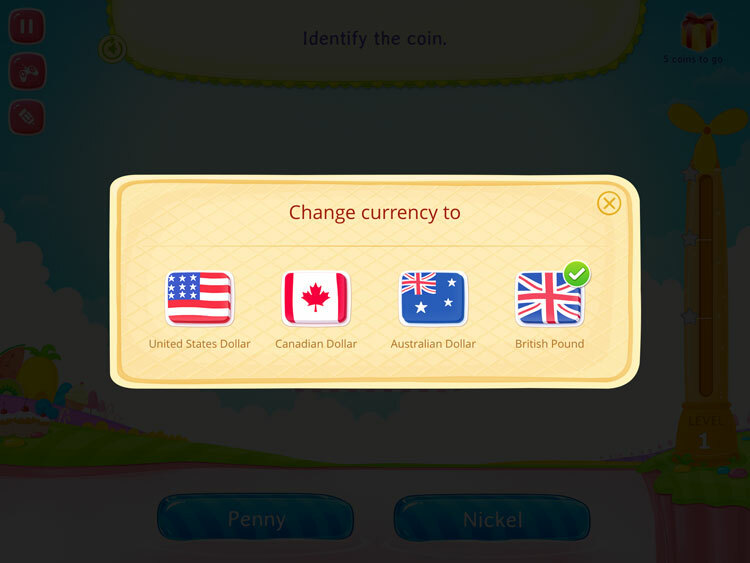 Tap on the "Change Currency" button at the bottom of the settings screen. 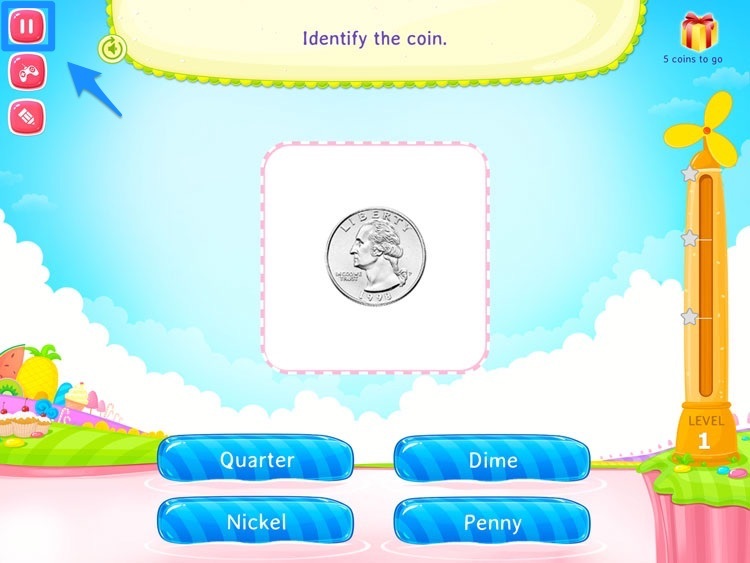 This will open a dialog box. 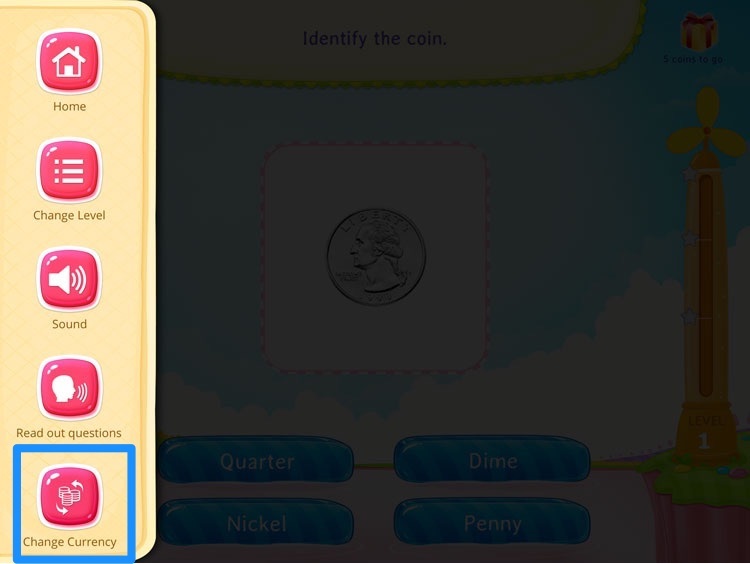 Tap on the currency you want to change to and then close the dialog box.